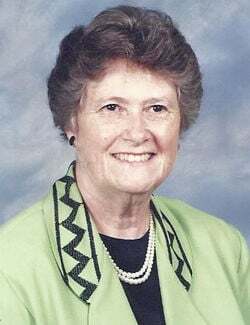 Mary Elizabeth Lamothe RUTLAND — Mary Elizabeth Lamothe, 85, of Rutland, passed away on Tuesday, April 2, 2019, after a long illness and a brief stay at The Residence at Otter Creek in Middlebury. She was born in Newport on May 13, 1933, the daughter of Frank and Desmah (Mason) Durocher, and graduated from Derby Academy. She married Maurice E. Lamothe on Sept. 16, 1953, in Newport and moved to Rutland in 1957. After being a “mom” for several years, she began working for Montgomery Wards in 1974 and held various positions from office supervisor to catalog manager before retiring from the company in 1996. She then went on to work for Rutland City Hall as a receptionist for another eight years. In addition to this, she was an active member of the Immaculate Heart of Mary Church Council for many years and volunteered with city voting registration. Mary cherished and took great pride in all her children and grandchildren. She is survived by daughter Kathryn "Kate" and Denis Gravelin, of South Hero, son Timothy and Susan Lamothe, of South Salem, NY, son Steven and Debbie Lamothe, of Rutland, daughter Julie Lamothe, of Connecticut, son Jeffrey Lamothe, of Rutland, Lynn Lamothe, of Chittenden, and son Dr. John Lamothe OD and life partner Gary Wicks, of Washington, DC; and a brother, George Durocher, of New York City. Also surviving are grandchildren Marc, Matt, Meghan, Lauren, Annya, Kyle, Justin, Luke, Aliza, Maurice (Reis) and Lexi; two great-grandchildren Elijah and Ethan; and several nieces and nephews. She was predeceased by her husband, Maurice "Pete," on April 1, 1991; and brothers Edward, Mitchell and Herbert Durocher. A memorial Mass will be celebrated on Tuesday, April 9, 2019, at 10 a.m. at Immaculate Heart of Mary Church, 18 Lincoln Ave., Rutland. Coffee and donuts will be served in the basement of the church following Mass and all are welcome to attend. Arrangements are under the direction of Clifford Funeral Home in Rutland. Those who wish may make memorial contributions to the Immaculate Heart of Mary Church in Rutland. My condolences to Mary's family. What a lovely picture of your mom. She always had such a kind, warm smile. May your loving memories bring you comfort and peace during this time of loss. Sr. Martha St. Onge Offering you condolences, thoughts and prayers at the passing of your mom.